Solar power can save schools money and give students a valuable educational experience. This article, with an exclusive video interview and interactive slide show, originally appeared in T.H.E. Journal's April 2013 digital edition. Schools around the country are finding their place in the sun. Fueled by a desire to save on utility bills, decrease their carbon footprint, and give students a practical educational opportunity, districts are adding solar to their campuses and their curricula. A 2012 report from Environment California counted 200 solar-powered K-12 schools in the Golden State alone, with plans for 60 more in the next year. Last year, Hawaii announced that it would put solar panels on all of its public schools by 2017. Contrary to a common misconception, though, solar is not just for the most sun-baked spots. The news is full of stories about solar schools in Massachusetts, New York, and Maine; this article highlights two of many schools in Maryland that are harnessing the power of the sun. These days, the biggest challenge to going solar is financing. The good news is that solar hardware is getting cheaper. According to research from Greentech Media Research and the Solar Energy Industries Association, solar photovoltaic (PV) system prices fell 27 percent in 2012, mainly due to a drop in solar panel prices. The not-so-good news is that the initial cost for a large commercial installation can be hundreds of thousands (or even millions) of dollars, depending on the system's size. Schools can use bond measures to finance such infrastructure projects, but bonds can be politically challenging and difficult to get passed. Realizing this, the solar industry has developed new ways to finance solar projects with little or no upfront cost. The most common way schools can fund a solar project today is through what's called a solar power purchase agreement. In most solar PPAs, schools or districts work with both a solar developer and a solar installer. A developer is a finance company that invests in solar installations by offering solar PPAs. In some cases, solar developers can also own solar installation companies, but most often, developers have a subcontractor relationship with installers. In a typical solar PPA, the developer funds the installation of a solar system and maintains ownership and operation of the system. Because the developer is the owner, it collects most, if not all, local and federal solar rebates and tax incentives (which can't be used by nonprofits like schools anyway). In exchange for the free solar system, the school pays the developer for every solar kilowatt-hour of energy produced for 20 years. This kWh rate is usually less than the local utility's kWh rate, saving the school perhaps 10 percent on its utility bills. After 20 years, the school has the option to purchase the system at fair market value or have it removed at the developer's expense. Schools don't have to go solar to be become energy efficient, but achieving sustainability of any kind is a challenge for many school buildings, whose 19th and early 20th-century constructions are notoriously difficult to retrofit. The architects of Chicago's Henry Ford Academy: Power House High had two additional challenges: cleaning up toxic waste and preserving the building as a National Historic Landmark. Before the science-oriented charter school opened its doors in 2009, its building had been a 104-year-old power station for Sears & Roebuck. As a result, to earn the Leadership in Energy and Environmental Design (LEED) Platinum certification it coveted (as well as make the school a safe place to learn), the charter had to spend millions of dollars to remove toxic elements left from years of coal and gas power production, as well as lead paint, asbestos, and weed killer spread over the grounds. Once the environmental concerns had been addressed, the charter earned LEED points by replacing insulation throughout the walls and preserving the building's large windows, adding double-glazed glass for energy efficiency. Before reworking those early 20th century windows, architects first built models that needed to be approved by the National Register of Historic Places. While large windows and skylights let in daylight to reduce lighting costs, they also raised the temperature during the summer months. Jonathan Boyer, Farr Associates' lead architect on the project, says, "These were beautiful, high skylights, but we discovered that they were dramatically increasing our air-conditioning load during the summer. So we reglazed them and increased the U-value of the glazing, and also introduced a solar shading coefficient that cut down on the amount of sunlight that came in during summer." Henry Ford Academy continued the quest to reach LEED Platinum status by installing 89 geothermal wells on the grounds surrounding the school. The resulting renewable energy system significantly reduces the cost of air-conditioning and heating the school's cavernous, 30,000-square-foot interior. The final $45 million restoration not only serves as an example of sustainability, but also as a living history lesson for its students and visitors, who can still touch and explore some of the machinery, pipes, and 1900s architecture. The details and structure of these PPA agreements can vary greatly, and are always negotiable. With the most common PPA structure, a school pays a certain kWh rate (9 cents per kWh, for example) for the solar electricity generated by the system, plus an annual "escalator" that raises the initial rate by 1 to 4 percent per year. Oregon's Beaverton School District and Kent County Public Schools (MD) are two examples of how solar PPA structures can vary. Richard Steinbrugge, executive administrator for facilities in the Beaverton district, says, "We had looked at traditional PPAs before, and really backed away from them because there's still a potential financial risk." Steinbrugge explains that the district did not want to risk that the PPA's annual escalator would rise faster than their regular utility's rates. "In theory, if something happened and the market price of electricity went down in 20 years, the school district could pay more than market price for the solar electricity. As unlikely as that is, it was enough to cause us to back away from a traditional power purchase agreement," he adds. A new opportunity arose when Oregon passed a different type of solar incentive called a Feed-in Tariff. With FiTs, the local utility pays a solar system's owner a very high rate for the power it produces (in this case, 49 cents per kWh). Spurred by this offer, a solar developer called Kenyon Energy agreed to give Beaverton a total of three 100 kW solar installations with no upfront costs. In return, Kenyon collects the FiT payments from the state. Most important to Steinbrugge, Beaverton receives 6.3 cents/kWh as their portion of the of the FiT payment. Thus, they have zero cost for the solar system, and their electric bill is actually reduced by 6.3 cents/kWh for every kWh of solar power produced. This arrangement made the school immune to any ups and downs of utility rates, while at the same time allowing the developer to profit from its investment. Kent County Schools had also been looking for ways to reduce its electricity costs with solar. As it happened, so was Kent County itself. The two entities agreed to develop a large solar project together at a single location on 10 acres adjoining one of the district's campuses. The resulting 1.28-megawatt solar system was financed with a traditional PPA structure with an escalator. What's unique about the arrangement is that the electricity generated by the solar system is fed directly to the grid--not to any school or county building. Instead, the solar energy generated is credited to the electric bills of two schools and the county's pump station and community center. The partnership has been a success. Two Kent County schools have offset 100 percent of their electricity use from solar power. The remaining energy offsets about 80 percent of the electric bills for the county's pumping station and community center. The electricity isn't free, however. The county and the two schools still pay for solar power, but it's at the less expensive solar PPA kWh rate. While the PPA rate will go up by the negotiated escalator, that rate is calculated to be less than local utility rate hikes, saving the schools $3 million over 20 years. For schools that don't want to enter into a solar PPA arrangement, the other alternative is to self-finance the system. The most common self-financing methods are school construction bonds and state grants for renewable energy projects. In the case of small independent school installations, parents might even raise the capital through a fundraiser. The main advantage to self-financing a school solar system is a better long-term return on investment (ROI). Solar panels are generally warrantied for 25 years, though they can often last longer than that. In many states with high utility rates, solar systems can now pay for themselves in less than 10 years, leaving 15 years of almost free electricity. Westridge School for Girls in Pasadena, CA, looked into PPA financing, but eventually decided to fund a relatively small 53 kW system through a $200,000 school fundraiser that would pay for both the solar installation and a new air-conditioning unit for a gymnasium. In addition to the better long-term ROI, the other upside of self-financing is that the school maintains complete control over its campus. Brian Williams, director of facilities at Westridge, says, "Our board of trustees weren't comfortable signing a 20-year agreement to pay for the power. They didn't want to have an outside group that they had to answer to on our campus." Of course, larger public school installations can't be funded by parent fundraisers. The Los Angeles Unified School District (CA) plans to have nearly 60 solar projects erected throughout Los Angeles, installing solar on school roofs and carports. These multicampus solar installations are primarily being funded through a $98 million construction bond and cash rebates from the city utility. The benefit? Just the first phase of the project, which will include installation of 7.4 megawatts of solar on 26 campuses, will save the district more than $25 million over 20 years. While schools that self-finance maintain more control over their campuses, with any form of solar PPA, the installation, maintenance, and any needed repairs are taken care of by the installer or a maintenance firm. Consequently, there can often be very little for school managers to do during installation, especially when the project is ground-mounted on an open field instead of on roofs or over a parking lot. Both Sandy Spring Friends School, a 50-year-old independent Quaker school in Maryland, and Kent County Public Schools had open land with separate entrances located adjacent to their schools. Any planned power outages were scheduled around school hours. The only thing required of Sandy Spring Friends was to mow the grass around the gate of the solar installation. However, some schools--and their cities--can be very hands-on. For L.A. Unified's installations, the installer worked with various district departments to coordinate approvals and testing, including the Sustainability Department, Project Execution Team, Program Management Team, and Energy Department. School IT departments typically have little interaction with the installer, depending on the installation. In Beaverton, however, the school IT team helped interface the solar system's monitoring system with the school's firewall, enabling classrooms to see real-time information about the solar energy being produced. Beaverton's IT department also helped plan the placement of cables running from the solar inverters via a T1 line. To truly integrate solar power into school communities, installation companies can provide educational materials, the breadth and depth of which vary based on the costs that have been included in the solar PPA contract or purchase price. Companies such as Maryland-based Standard Solar have their own in-house solar education departments that can develop programs with schools for various curricula and grade levels. The Sandy Spring installation, for example, included a hands-on field trip with Standard representatives, who led small groups of students to the solar array to learn about solar power, the construction of the array, and its benefits. The price also included teaching the school's science teachers how to integrate the Sandy Spring installation into classroom materials. Developers usually provide at least one information kiosk that can be set in a public area (such as a school entrance) or placed in a science classroom. Kiosks always include a screen that shows the real-time production of the school's solar system. The screen can also display weather data as well as specific information about the school's solar array. Although multiple kiosks can be expensive, solar monitoring information is web-based, allowing the same information to be viewed on any computer, interactive whiteboard, or tablet. Schools may also buy a small solar module and inverter kit that can be used for demonstrations, showing how solar energy can power lights and microwaves or charge a cell phone. There are also several independent solar education organizations, such as the Bonneville Environmental Foundation's solar4rschools.org program. Assisted by donations from the developers, the installer, and the utility, the Beaverton School District was able to set up its own page that the teachers and students can access on the solar4rschools website. 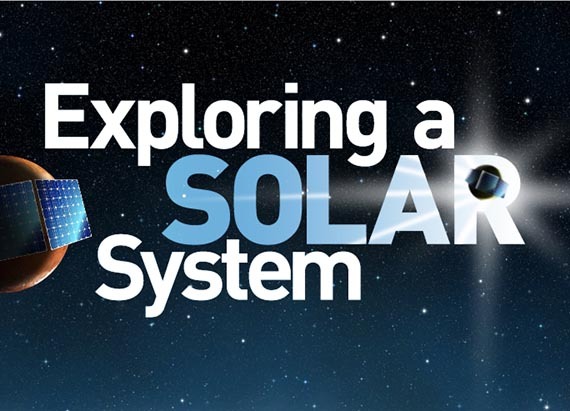 A learning component on the solar4rschools site offers activities for all grade levels. There, students can learn how to design and build a solar oven, a mini solar racecar, or a solar cell. Teachers, students, and administrators can also explore the National Renewable Energy Laboratory's education website to find solar energy lessons to use in their classrooms. Other resources for teachers include the National Energy Education Development Project, which has lesson plan ideas about renewable energy, and the Department of Energy's Energy Efficiency and Renewable Energy site. Finally, Solar Schoolhouse is a nonprofit educational organization targeting the Northern California area, offering workshops as well as videos and other online resources to help build excitement about solar power. "Don't underestimate what solar means to the community and the example that it sets for students and the parents," says Westridge's Brian Williams. "Parents come up to me and say, 'I'm thinking of putting solar now on my house, and I'm so proud that Westridge was able to do it.' That's important. And we're going to do more. I don't know when, but it's certainly something that we have every intention of expanding. I don't think we'll do another major capital project or new building without it including a solar PV component." So You Want to Go Solar? Here are a few key points to consider when contemplating a move to solar power, along with resources to help district leaders make an informed decision. The first consideration for schools looking to install a solar is price, whether it's the cost of self-financing or the kWh rate for a solar power purchase agreement. Solar incentives can help offset some of that cost. A complete listing of incentives is available at the Database of State Incentives for Renewables & Efficiency (DSIRE). District leaders should also read Solar Schools Assessment and Implementation Project: Financing Options for Solar Installations on K–12 Schools, a resource provided by the National Renewable Energy Laboratory. While it was written for California districts, it includes useful models on how any school can finance solar. When looking for an installer, first seek recommendations from other local schools that have installed solar. Then explore local members of respected solar organizations such as NABCEP, a solar installer certification company, and the industry trade group the Solar Energy Industries Association. Schools should also consider the installer's experience building similar-sized systems, and should be confident that their chosen installer is familiar with utility and city regulations and permitting processes. Every city and utility has its own set of permitting rules and codes; not being able to explain your design properly to inspectors can cause delays and extra costs. At a minimum, schools should compare the number of installations and years in business of all the companies they are considering. It's also smart to confirm all state licensing, check building contractor boards for compliance, and screen potential installers and developers for any violations. Choosing a solar partner is not only about dollars and cents. According to John Johnson, supervisor of environmental services for Kent County Public Schools (MD), one of the big questions he asked potential installers was, "What could they offer us through the process that we could use for education, to teach our children and be a good learning experience for our students? Experience was important as well."